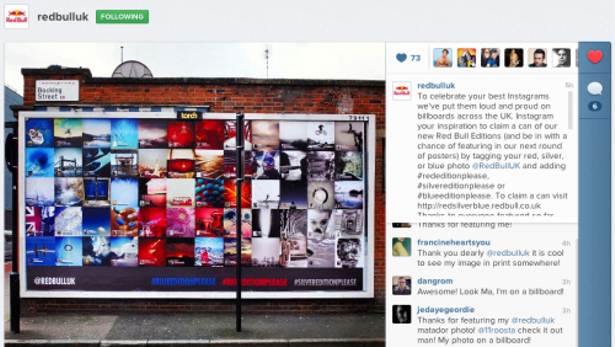 We all know how good Red Bull are at content marketing (remember Felix Baumgartner, anyone?). But not all of their marketing revolves around action sports. Their recent ‘RedSilverBlue’ campaign invited Instagrammers to use the hashtags #rededitionplease #blueeditionplease and #silvereditionplease to tag their ‘inspirational’ photos. The best images were included on colour-graded billboards in several cities around the UK, taking the results of the campaign offline as well.